UFC 229: Will the King Fall? This Saturday at UFC 229, Conor McGregor makes his long-awaited return to the octagon. The UFC’s kingpin will take on undefeated lightweight champion Khabib Nurmagomedov. People are calling it the biggest fight in MMA history. The pay-per-view numbers will be huge, but will this be the night the Irish kingdom collapses? It’s hard to believe this Saturday will be Conor McGregor’s first UFC fight since his historic victory at Madison Square Garden card in 2016. 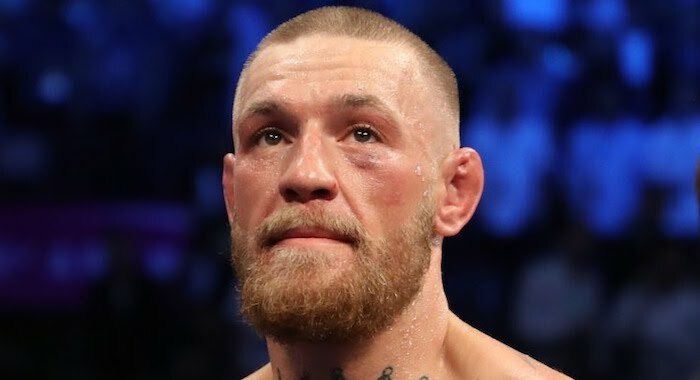 However, despite being less active, he has the world (and the UFC) at his feet after making one-hundred million dollars in his spectacle boxing match with Floyd Mayweather. The former ‘Champ Champ’ no longer has to fight; he does it because of his desire to compete. Since the announcement of UFC 229’s main event, fans and media have speculated what could be next for the biggest star in MMA history. Conor himself spoke about a fight with Anderson Silva and George St-Pierre on Ariel Helwani’s show. There is no shortage of super fights. Even his outside ventures like his Proper Twelve Whiskey are thriving, as it will be on the octagon’s canvas on the 6th. While those potential matchups sound exciting, Khabib is his next opponent, and he might be the man to tear down the king from his throne. The scary thing about the Russian lightweight champion is, he does not just win fights, he breaks his opponent’s wills. Fighters like Edson Barboza and former lightweight champion Rafael dos Anjos were world beaters, but against the current lightweight champion, they looked like fighters at a lower weight class. Not an ounce of fight was left in them by the end, and there was never any doubt that the better fighter was Khabib Nurmagomedov. That’s the type of opponent Conor McGregor faces at UFC 229, one that mauls people for fifteen or twenty-five minutes. In his previous defeats to Nate Diaz or even Floyd Mayweather, there was always an out for him. He took the fight on short notice. He fought in boxing rules. This time, there will be no excuses. No short notice fight and no jumping up weights. It’s the best versus the best, and one man will have to settle for second place. Now don’t misinterpret this, a loss does not mean UFC’s top star will no longer draw big PPV numbers. Even if he loses this Saturday, he could go on to fight Anderson Silva and St-Pierre and do big business. However, the tag of ‘the best’ will no longer be with the Irish sensation. So even if he takes these potential super fights after October 6th, knowing he is second best in his current weight class, will make them far less appealing. This fight is new territory for Conor McGregor. Not only is Khabib’s grappling on another level, but the Russian possess the skills to beat him so bad that fans could be begging for his corner to throw in the towel. If Conor McGregor overcomes this obstacle, the UFC will without question become his playground where he can do anything and everything.